France gave birth to many talented actors. Considered to be the most coveted French actor in his generation, Vincent Cassel, soon to be 53 years old, sits at the top of the list of the most charismatic male stars “made in France”. Actor- producer, son of Jean-Pierre Cassel and brother of Cécile Cassel, former companion of Monica Bellucci, brother of Rockin’ Squate founder of the rap group the Assassin. Born on 23 November 1966 in Paris, from an early age, little Vincent is naturally interested in the scene as he tries music, the circus and finally the theatre, after courses at the Actor’s Institute of New York and then at the Atelier International theatre. It was with Jean-Louis Barrault’s theatre group that he made a noted entrance in diversified roles such as Les Oiseaux and Le pointeur. Passionate and determined, he then played in small TV roles and series while gradually getting closer to motion pictures. 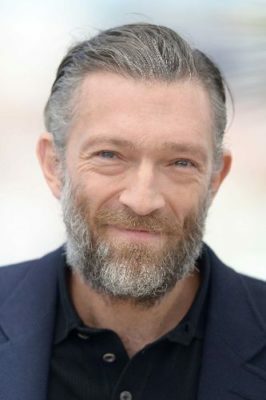 In films, Vincent Cassel is a chameleon: After a first appearance at the end of the 80s’, on the big screen in “Les cigognes n’en font qu’à leur tête” by Didier Kaminka, the French actor was truly revealed to the general public in 1995 with “La Haine“, knockout film from Matthew Kassovitz. A role that had enabled “Vinz” to obtain a double nomination for the César (best male Hope and Actor). He has since come a long way. His father Jean-Pierre Cassel did not want him to follow his footsteps, but Vincent had a mind of his own! Today, Dad must be proud of his son and his acting career, after comedy classes in New York and Paris. 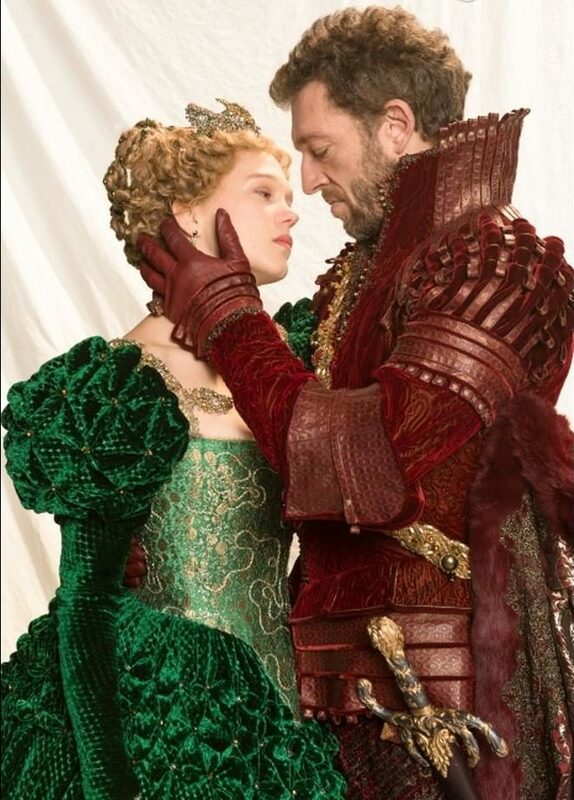 Vincent Cassel likes to be infrequent in pictures, hoping to arouse envy. He still made films in the years of 2000 with the greatest directors: “Les Rivières pourpres” from Mathieu Kassovitz, “Sur mes lèvres” from Jacques Audiard and “Jeanne d’Arc” from Luc Besson. A world renowned actor, Vincent Cassel also acts for Steven Soderbergh. He embodies a french thief known as the Night Fox in “Ocean Twelve” and “Ocean Thirteen“. David Cronenberg also appealed to his talent for “Les Promesses de l’ombre” and “A Dangerous Method“, making 2008 one of his best years. He won the César Award for best actor for his role of Jacques Mesrine, the famous gangster in “L’Instinct de mort” and “L’Ennemi Public n°1“. The following year, Vincent Cassel portrays a seducer in an advertisement for Yves Saint-Laurent’s man fragrance Nuit de l’homme. His beautiful blue eyes do not stop there since he will then shoot a commercial to brag about the curves of the Lancia Ypsilon. Less irresistible, but equally talented, he is the despicable ballet master of Nathalie Portman in “Black Swan” (2011). In 2014, he will lend his traits to the beast of the imaginary movie “La Belle et la bête” with Léa Sandra, and that stands without forgetting “Notre jour viendra” in 2010, “Gauguin – Voyage de Tahiti” 2017 directed by Édouard Deluc. Far from his sometimes infamous image, Vincent Cassel is very involved in society. The actor committed himself to chief Raoni against deforestation in the Amazon since 2011. Thanks to the international and unexpected success of “L’Appartement” with Monica, Vincent Cassel is particularly appreciated outside our borders. Here he is Duc d’Anjou in “Elizabeth” by Shkhar Kapur, then the crazy cousin of Nicole Kidman in “Nadia” by Jezz Butterworth… He also played alongside Willem Dafoe and Paul Bettany in Paul McGuigan’s “The Reckoning” and then became the enemy of the entire Mister Ocean group in “Ocean’s Twelve“. As a very eclectic actor, he also directed the short film “Shabbat Night Fever“, lent his voice to “Mr. Hood” in “Shrek” and to Diego in “L’âge De Glace” before especially trying to produce for “Kourtrajmé“. In 2006, he was again part of the adventure “L’âge De Glace 2” and thus lent his voice to Diego. Never far from the French cinema, the same year he plunges into the somewhat strange universe of the new Jean-Jacques Annaud’s movie “Sa Majesté Minor“, before taking an interest a few months later in the sensitive theme of prostitution in “Promesses De L’Ombre” by David Cronenberg. It’s a good year for the actor with no less than five films in 2015, among them the Australian Ariel Kleiman supporter, “Enfant 44” directed by the Sweden Daniel Espinosa or “Un Moment d’égarement” in which he finds Jean-François Richt seven years after the Mesrine diptych. 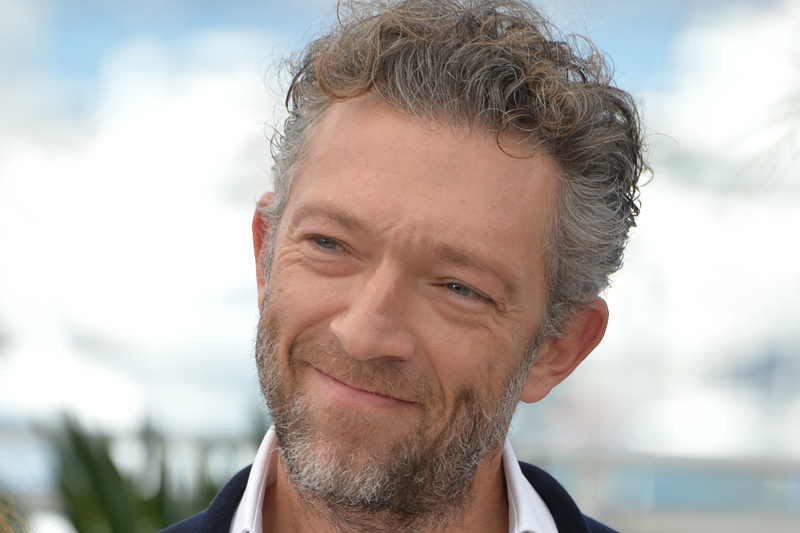 Vincent Cassel is also one of the great stars of the Cannes Film Festival with two films in Official selection: “Mon Roi” of Maiwenn and “Tale of Tales” of the Italian Matteo Garrone. Cassel plays Asset, the antagonist who confronts Matt Damon in “Jason Bourne” the final part of the saga. He also plays under the direction of Xavier Dolan in the powerful drama “Juste la fin du monde“. He played a Russian homosexual mobster in David Cronenberg (Les Promesses de l’ombre, 2007), a stylish businessman in an episode of Ocean (2004), Gilles de Rais in the Jeanne d’Arc of Besson (1999). He likes to multiply experiences, sometimes risky, like his role of a cowboy under psychotropic (Blueberry, Jan Kounen, 2002). In 2013, he played the big boys in Trance directed by Oscar Danny Boyle before donning the monster’s costume for the needs of La Belle et La Bête with Léa Sandra. Among the most famous couples of motion pictures, Vincent Cassel and Monica Bellucci had met in 1995 on the filming of “L’appartement” by Gilles Mimouni. They live in Rio de Janeiro Brazil, a country that he discovered when he was only a child. They are parents of two daughters respectively; Deva born in 2004 and Léonie born in 2010. The French actor and the Italian bomb put an end to their relationship after a relationship that lasted more than 18 years. No longer together, Monica Bellucci and Vincent Cassel have experienced a dual relationship of love and work since the lovebirds crossed in many films as the “Doberman” in 1997 by Jan Kounen, “Embrasse-moi Pasqualino!” by Carmine Amoroso, in a short film called “Compromis” released in 1998, “Le plaisir (et ses petits tracas” in 98, “Le Pacte des loups” by Christophe Gans (2001), C’est chaud sous la couette dans “Irréversible” by Gaspar Noé (2002), “Dans Agents secrets” by Frédéric Schoendoerffer (2004), finally in “Sheitan” by Kim Chapiron (2006). They remain in very good terms, especially for the good of their daughters. Since then, they have each remade their lives on their side. Vincent Cassel has made a lot of talk about himself when he began to display his relationship with Tina Kunakey Di Vita, a model of 30 years his junior. As a couple since August 2016, they have silenced the malicious gossips about the age difference by proliferating their love. As for Monica, she’s more discreet about her private life. Vincent Cassel is a discreet but irresistible actor who has played all roles and records of personalities, from the gentleman to the monster. Do not miss the opportunity to enjoy a good evening during the weekend by discovering one of his films.